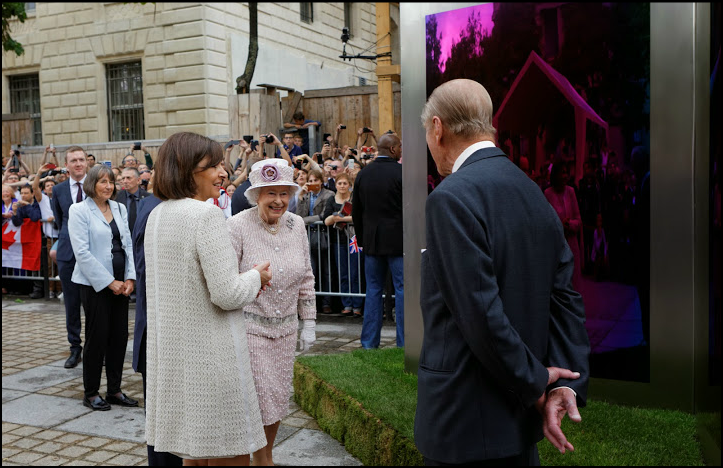 HM the Queen and the President of France, Monsieur Hollande, unveil Open Book, sculpture by Diane Maclean on 7th June in the Place Lepine, Ile de la Cité. The sculpture was chosen to be gifted to the City of Paris by the Queen at the end of her state visit commemorating the D-Day landings. A plaque beside the sculpture reads: “un livre ouvert que nous écrivons ensemble – an open book we are writing together”.